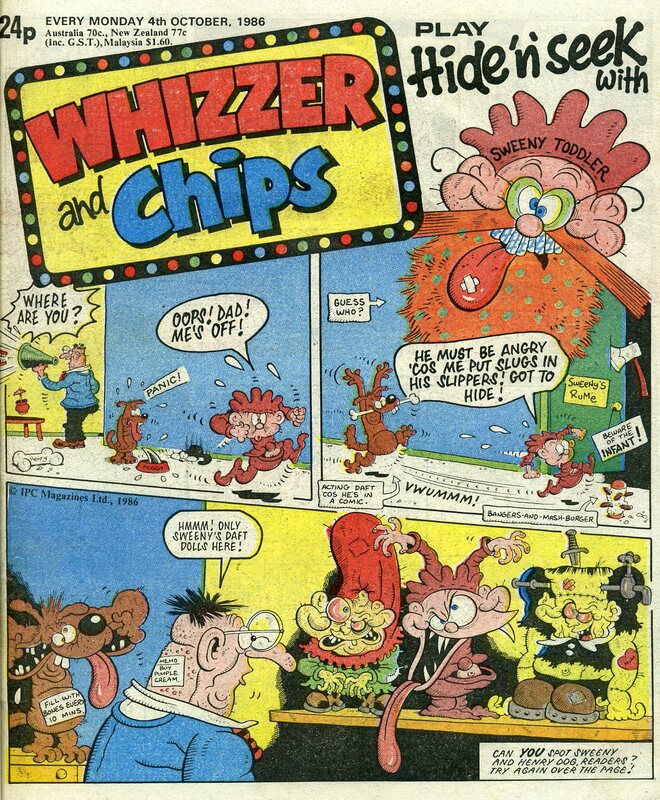 For me it was Whizzer and Chips (Still have every annual on my shelf).. I used to love Sweeney Toddler that started out on Whoopee! and went across to Whizzer and Chips later on. 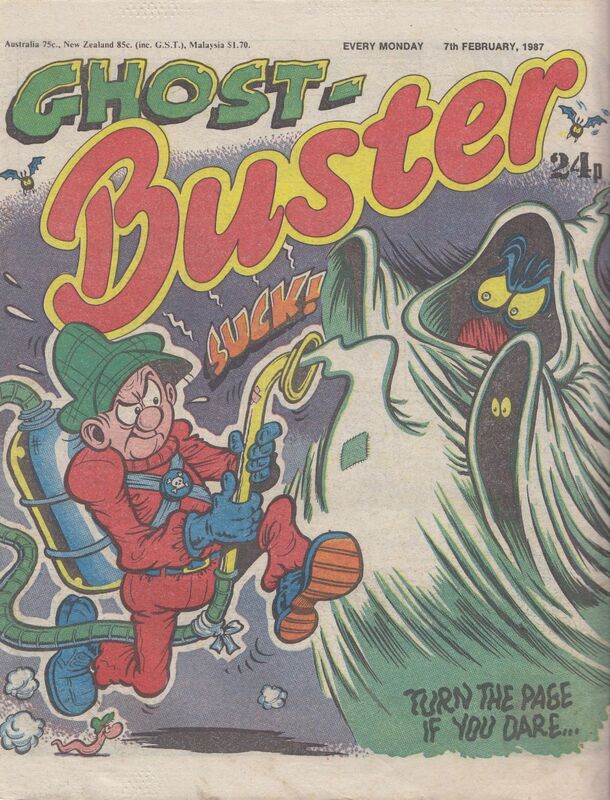 The Big Comic Annuals were great as well as it would take the best of all the Fleetway comic books. Tom Patterson is by far my favourite cartoonist back in the day (http://tompatersoncartoons.x10.mx/) he did Sweeney Toddler ain the Whizzer and Chips days and went on to do great work for the Beano as well... You can always tell a Tom Patterson cartoon as every inch of each frame is bursting with humour. F-Secure doesn't seem to like his site though, which is a bit odd - says it's "harmful"
Agreed on Tom Paterson. 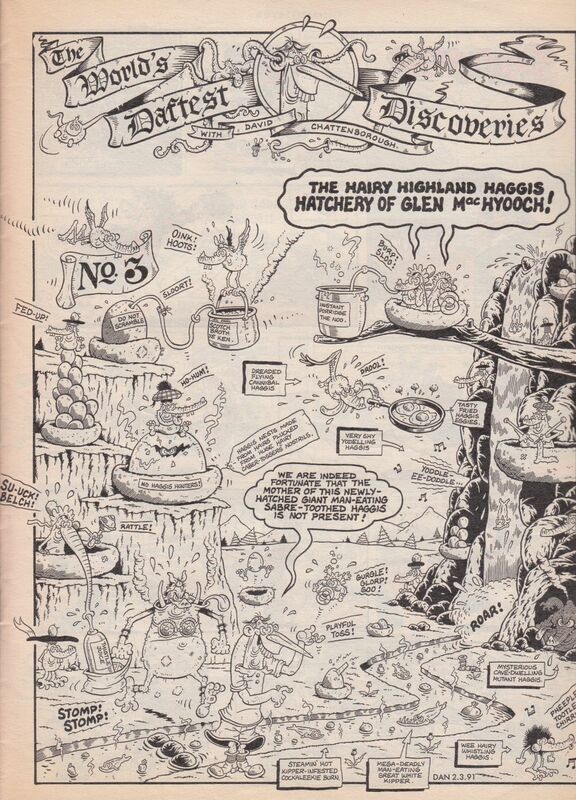 Calamity James was always the first one I'd try to find in a new issue of the Beano. On the rare occasion that it wasn't in there...disaster! That'd be a LOT of books - he's worked more or less continuously, every week, since the beginning of the 1980s, doing stuff for Buster, the Beano, the Dandy, the Topper, the Beezer, Whizzer and Chips, Oink... He was even in the Xmas 2013 issue of Viz! 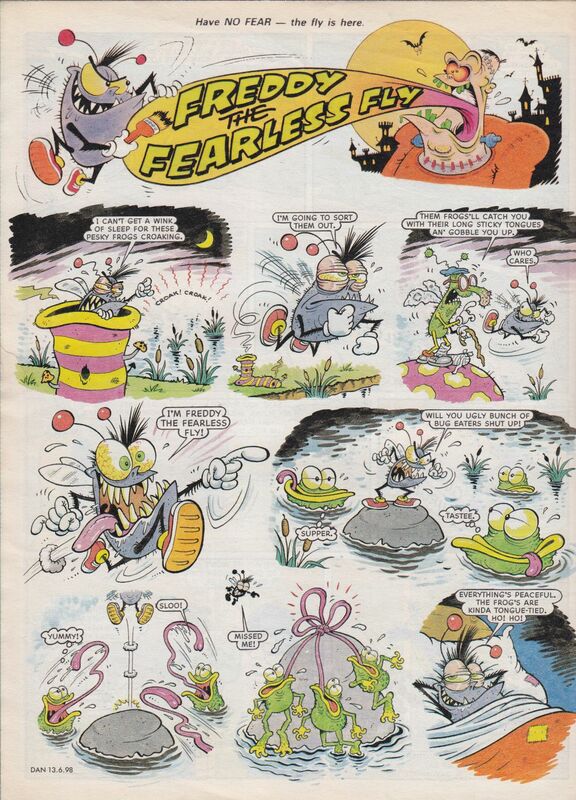 I actually had the Beano with Calamity James' first appearance in it. The little squelchy thingies were perhaps my favourite bits in any comic ever. Who can ever forget Tom Paterson's sock? A beard with an idiot hanging off it, Writes about videogames when the apathy isn't kicking in. 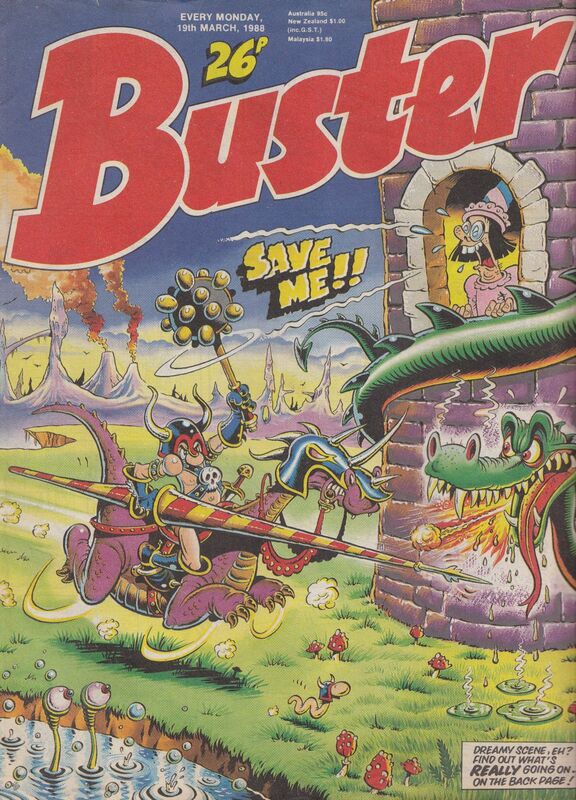 I was an avid Beano reader until I found Whizzer & Chips, which then led me to Buster. I always preferred the underdogs of comics, Topper, Beezer etc. I had a few annuals I used to find in jumble sales, Monster Fun being my fav! He's covering EVERYTHING to do with Monster Fun - worth reading through the whole thing, he's already covered Cor! and Shiver & Shake incredibly deeply. 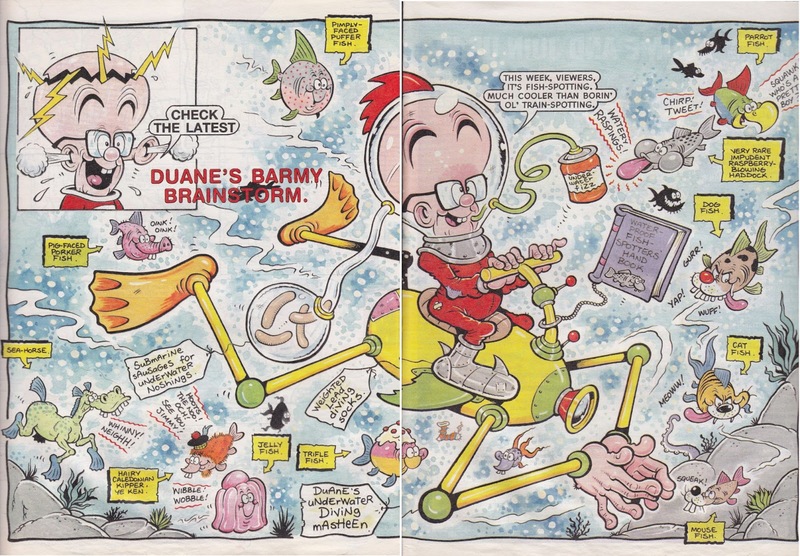 I read the Beano and Dandy, occasionally Buster and I also regularly bought Sonic The Comic. As far as STC goes, I wasn't really a fan of the more comedy orientated Lew Stringer scripts, but I really enjoyed what Nigel Kitching produced. I'm not sure what I'd think of it now, but it all felt very epic when I was younger and I loved this "darker" take on the Sonic franchise. I also bought something called Captain Cosmic, which was very puzzle orientated and great for competitions. When I was going on holiday I'd be sure to pick up Quiz Kids to keep me occupied. Finally, I'd get The Broons and Oor Wullie books every year. There's a quite brilliant exhibition opening at the British Library next week,, 'Comics Unmasked'. I know the curator and it will be well worth a visit for anyone in London, or even further afield ! Do you know if any of them will be filmed for the likes of YouTube and whatever? Will drop them a line tomorrow.. Quite a few have already sold out !